Eva Golinger describes the efforts taken by CNN to censor an article she wrote on the upcoming legislative elections in Venezuela. Revolutionary Venezuela Advances Social Equality – What is at Stake in the Upcoming Elections? Alison Bodine and Macarena Cataldo review the accomplishments of the Bolivarian Revolution, and the need for continuing solidarity from the people of Canada and the United States. Was Alan Gross tortured or even mistreated in Cuban prisons? What is the real reason Gross was in Cuba in the first place, and why was he arrested and convicted? 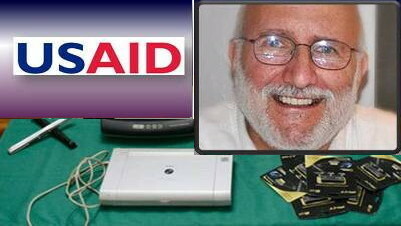 Setting the record straight after Alan Gross’ appearance on 60 Minutes. Edward Snowden has revealed the extensive espionage and penetration of the NSA in Venezuela’s state-owned oil company, PDVSA, the lifeblood of the South American nation and fuel of Chavez’s Bolivarian revolution.